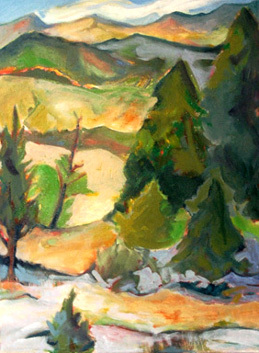 View from My Picnic Table, oil on canvas, 16" X 12". 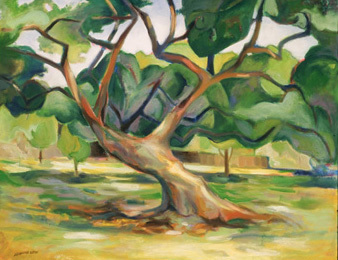 Gruene,Texas Grandfather Tree, oil on canvas, 20" X 28". 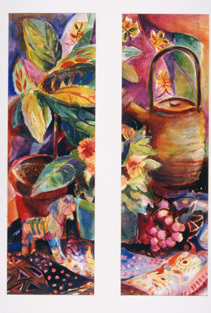 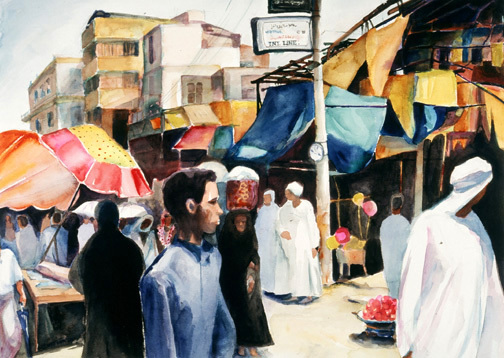 Patterns of the Past, Aswan, Egypt, watercolor on paper, 28" X 17". 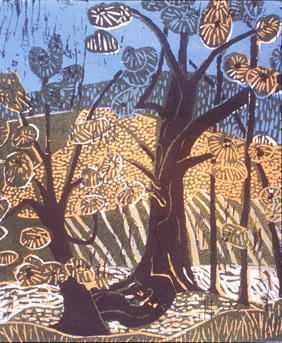 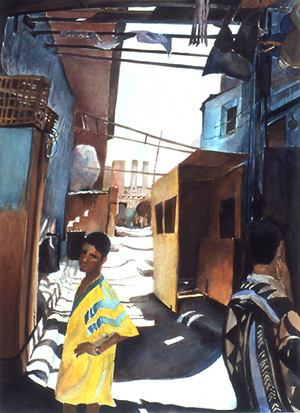 Aswan Market, Egypt, watercolor on paper, 22" X 30"..
Three Sisters, woodcut, 10: X 11". 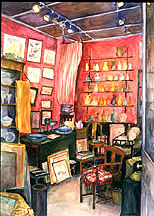 Belgravia, London Antique Shop, watercolor, 22" X 30"..